The East Side Gallery is getting a spruce up, with all the old grafitto being white-washed over and artists creating new murals for it. 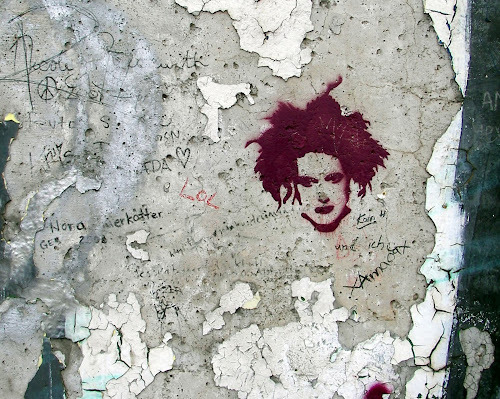 To save this for posterity then, before it gets eradicated, here's a stencil somebody did of the grandfather of Goth, the lovely Robert Smith of The Cure. Adventures In Gardening 2 - Snakes Alive!